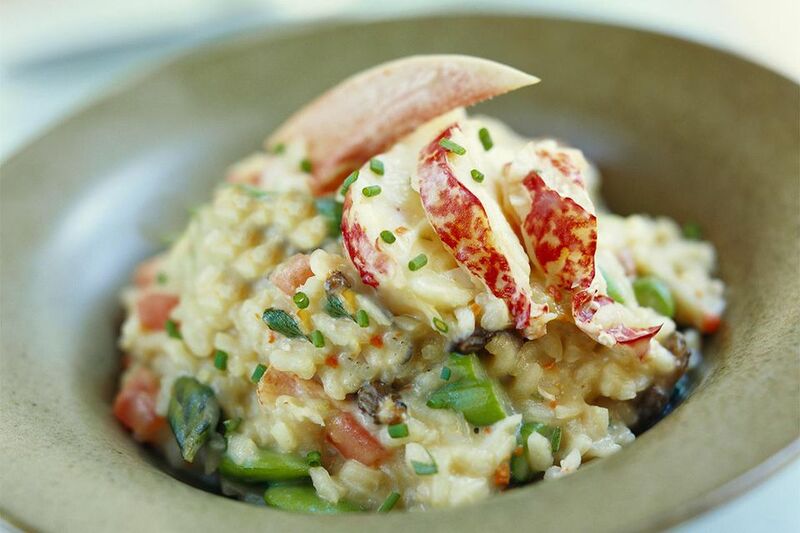 Lobster risotto is an excellent way to use the meat from the bodies of lobsters, as well as the shells. It is a great second-day dish after you feast on the tails and claws -- although this risotto is traditionally done in Sardinia with spiny lobsters, which have no claws. Make the lobster stock ahead (recipe is linked below) or use chicken stock or water. Make sure you use short-grained rice for this -- long-grained does not work as well -- and make sure you have some saffron on hand; it really makes the dish. Let the wine boil down, stirring frequently -- about once every 90 seconds or so. Turn the heat to medium and start adding the lobster stock, about 1/2 cup at a time, stirring frequently. Cook until the rice is done, but still a little al dente. You don't want mushy rice. Add the rest of the lobster meat and the parsley, then check to see if it needs more salt -- add some if needed.